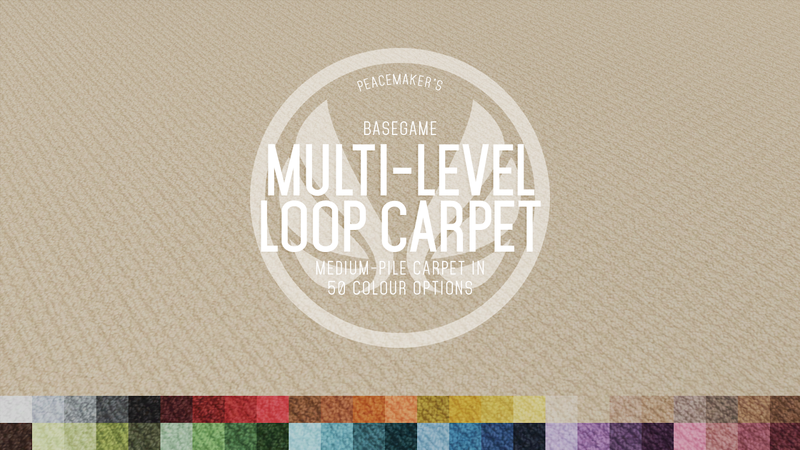 I was asked on tumblr whether I would ever make carpet for TS4. I actually did... but I never released it. I decided to revisit the project and redo the colour palette. I am finally happy with it and can release it without cringing. I don't use a lot of carpet myself, but it's always nice to have a plain version with a little texture. Now I have it I don't have to make it again. Now, there are 2 download links hosting the same file. Chose your preferred site to download To install, extract the archive (if needed) using WINZip/WinRAR/7Zip/Unarchiver and place the folder or package files in your mods folder, then look for them in your game. If you are having issues check out my Installing Content help page. I never used those horrendous standard carpets, but this looks great! Thanks a lot. The download on google drive isn't working when I try to use my unarchiver...I use Dr. Unarchiver. When I try to open it with that program it says theres nothing to extract. Any suggestions? I should have updated the instructions. This file is just a package and you simply just need to put it in your mods folder. Thank youuuu the stuff in the game looks like a gross shag rug and I've always wanted nice carpet for my kids rooms!